This product is built in heat capacity and storage materail using advanced plastic membrane the warmer bag has a good fomentation effect especially for arthiritis, cervical vertebra ache, lumbago and chilblain. 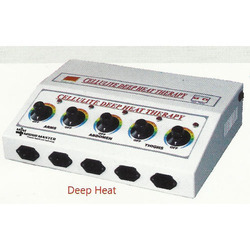 It features quick warm -up and longer reservation of temperature. This bag Can be Charged Just 5 minute and you Can be Used Continuous for 1 hours. With Electric Heating Water Gel Bag Instant Relief From Pain and Treatment of Sports Injuries, Arthritis, Sore Neck, Backache, Toothache, Menstrual Cramps, Growing Pains etc. - It Does Not Require Filling of Water. 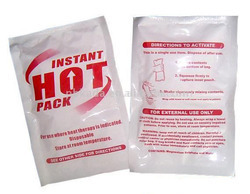 We are engaged in offering Instant Hot Pack. In order to cater to the numerous necessities of the patrons, we have been able to provide a wide range of Hot Water Bottle.